I was very lucky to be asked by Ros (aka my idol - Sew Delicious - go check out her new look blog) to host the Quilt Block Boot Camp while she was on holidays. I selected something pretty basic for my first block - Flying Geese by The Crafty Mummy. I personally had never done them, so I knew lots of our beginners wouldn't have and I thought the more advanced in the group could challenge themselves to be creative with their geese. This fabric is Happier by Deena Rutter for Riley Blake. Again another old one (I really am trying to shop my stash!). 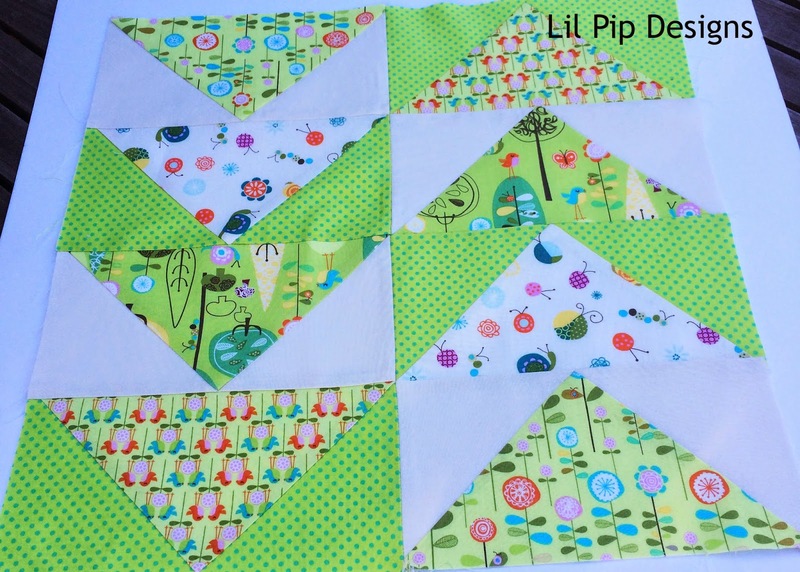 It is so bright and colourful and I can't wait to see it all quilted together. Ya know, when I work out how to do that step!